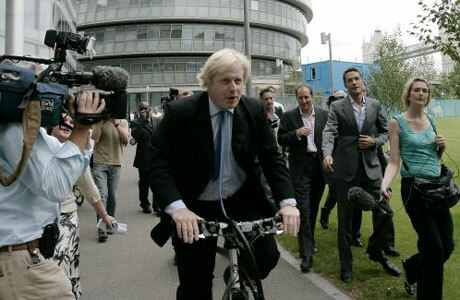 New, bike-commuting London mayor Boris Johnson – who will henceforth be referred to on The Plummet Onions by his latest nickname, Bojo – has made his first mark by outlawing the drinking of alcohol on London’s transport systems. No more cans of lager on the tube or bus from the beginning of next month. This is the first move in a plan Bojo made very clear during his campaign: to be tough on London crime using the model that New York City used in the mid-’90s. That is, if you’re tough on the minor crimes, on the smaller anti-social behaviours, it removes the type of environment that results in bigger crimes. 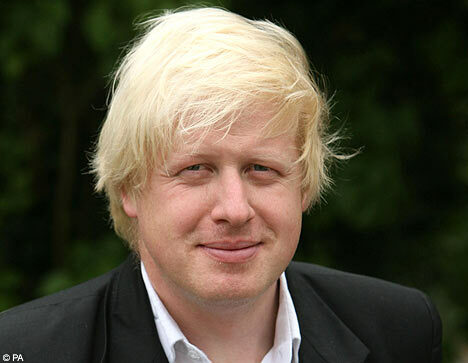 Bojo’s so keen to follow in NYC’s kinder, gentler footsteps that that city’s mayor, Michael Bloomberg, will be here on Friday to have a face-to-face with our new Etonian leader. I’m not sure that the cause-and-effect of the broken-window policy in NYC is true. There seems to be debate about how much was due to those policies, how much was due to larger societal trends, bettercrime management and statistics tools, or even the controversialFreakonomics legal abortion link. Getting nitpicky with public behaviour may not change overall crime. I’m not sure that London is really that crime-ridden. Of course if you read The Sun or any other conservative tabloid you think it is. Bojo ran on a tough-against-crime platform, and he won, so some people must believe it. Crime stats are hard to summarize, since there are many types of crime, and they can go up and down in different areas. But I haven’t seen any attempts at all to do such a summary: just heated reported of any particular knife crime or shooting and lusty cries that something must be done to prevent them ever again. My eyeballing of several types of crime in several boroughs over several years from the Met’s stats page leads me to believe that overall crime may not be that bad to begin with and may be getting better in many (most?) areas. Perhaps the mayor will come out with his underpants on over his trousers like Superman one Saturday to show us how it should be done, and maybe tell a crowd of Liverpool supporters that they can’t drink on the train. Well, I spent most of yesterday wandering around sunny London to see how we were adjusting to Boris as mayor. There was, as yet, no wailing and gnashing of teeth. I didn’t see people hurling themselves (or others) off buildings. I didn’t see poor people being spat on. Nor did I see tousle-headed posh boys guffawing at “ethnics”.